Why is investing in office and commercial refurbishment so important? People react according to their surroundings. We’re all human and inspirational surroundings undoubtedly brighten your poorly lit day, lift morale and increase output. By conducting a commercial office refurbishment and changing your company office interiors and design you can play a big part in influencing morale and motivation of your workforce and therefore greatly increasing your chances of increased productivity – a dream for any business. Commercial and office interiors can play a big part in reflecting corporate image as well as influencing workers spirits. Although it can be difficult to put a quantifiable return on the investment of re-designing, improving, expanding or relocating your current working environment, but conditions such as SBS (Sick Building Syndrome) and SAD (Seasonal Affective Disorder) have raised our current awareness of the negative impact of poorly designed offices and a commercial office refurbishment could be your solution to avoid this! Brighten your office and your mood! Attention to detail in office interiors design may initially be deemed as of low importance, however this is simply not the case and should not be dismissed lightly. As mentioned, a valid way of improving staff energy and spirits can be through improving the environment in which they spend most of their daily time. A simple matter such as more light coming through the office through glass partitioning for example, or adapting your room partitions could really have an uplifting effect on your staff and your customer experience. If your main desire is to add a spacious feel to your environment, then frameless glass partitioning is most likely the perfect choice for you. 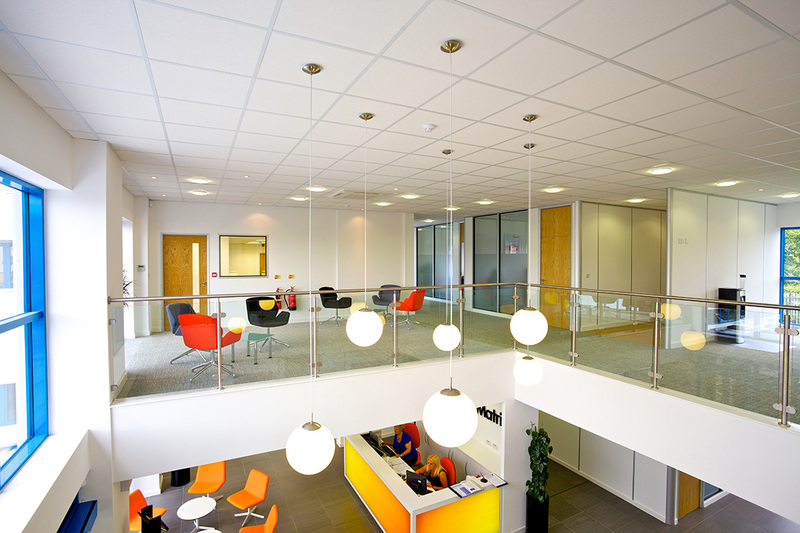 The look and feel of these systems makes the partitions an attractive feature to enhance any surrounding. If privacy is a concern on occasion, partitions can be double glazed for sound-proofing and insulation and can also be fitted with internal blinds which are useful during important meetings and discussions. So why not consider a commercial office refurbishment, investing in the human power of your workplace and hopefully reaping the rewards in productivity and output.